Heinzel Group, which is united under the Heinzel Holding umbrella, is one of the biggest producers of market pulp and packaging papers in Central and Eastern Europe with its industrial locations Zellstoff Pöls, Laakirchen Papier (both Austria), Raubling Papier (Germany) and Estonian Cell (Estonia). Magazine paper rounds off the group's range. 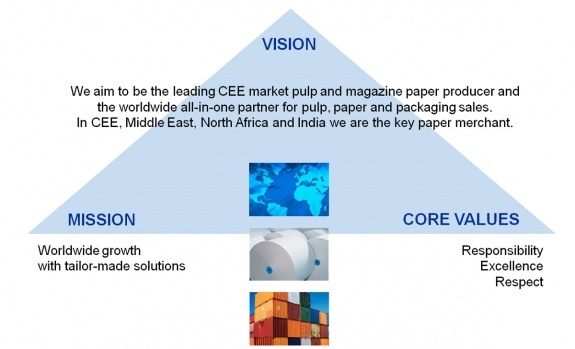 Its trade area includes Wilfried Heinzel AG, a globally active pulp, paper and board trading company, and Europapier International AG, the leading paper wholesale company in Central and Eastern Europe. 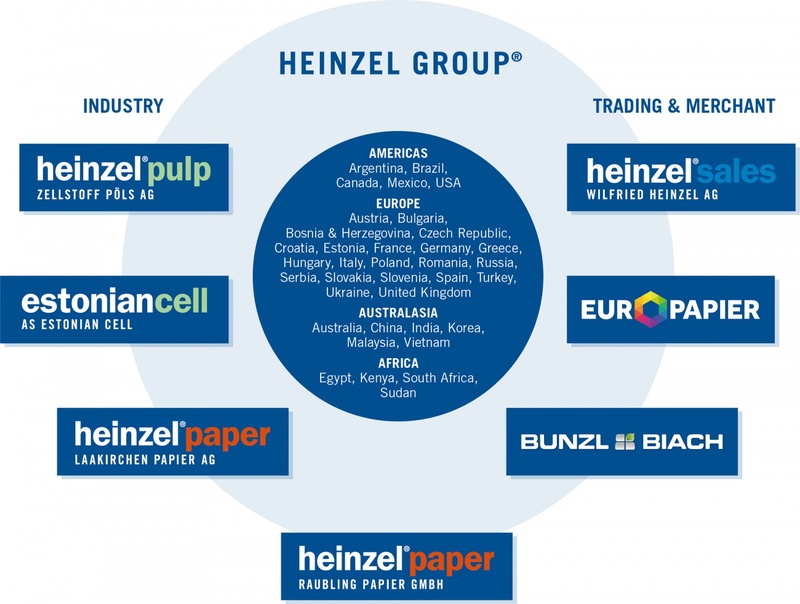 In addition, Bunzl & Biach is the largest and most important recycled paper company in Austria and a top wholesaler in Central and Eastern Europe. Heinzel Group's successful growth is based on meeting the highest customer demands with regard to quality and efficiency. Our main strategy is based on the vision that we are the independent value provider in marketing, sales, logistics and financial services in the pulp, packaging and paper business. Therefore we create tailor-made solutions for suppliers and customers in the international markets, based on strong company values: entrepreneurship, respect and excellence. as well as respect the experience, opinion, ideas and suggestions of your vis-à-vis in order to provide the best solutions to Heinzel Group.